Media Statement by Dr. Ong Kian Ming, Head of the Penang Institute in Kuala Lumpur on the 13th of March 2018. 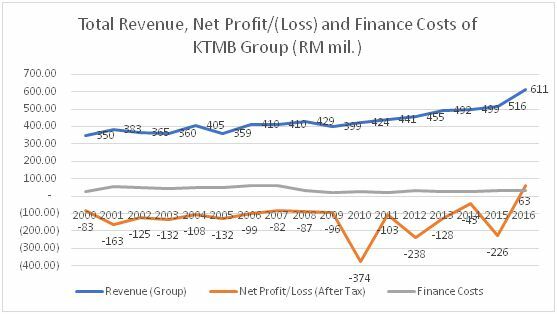 The numbers for cargo freight are also not encouraging. 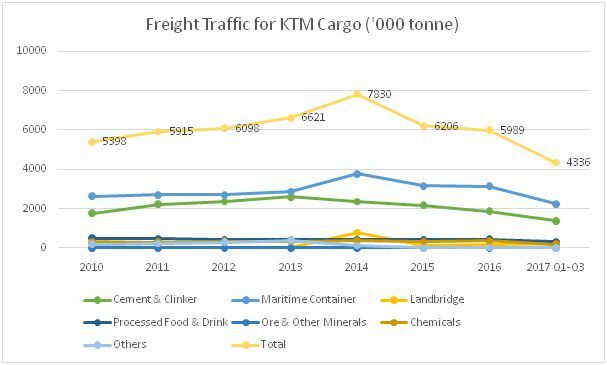 Total freight traffic for KTM Cargo peaked in 2014 with 7.83 million tonnes of carried cargo. Prior to that, the volume of cargo recorded a steady increase from 5.40 million tonnes in 2010 to 7.83 million tonnes in 2014, or a 45% growth rate. 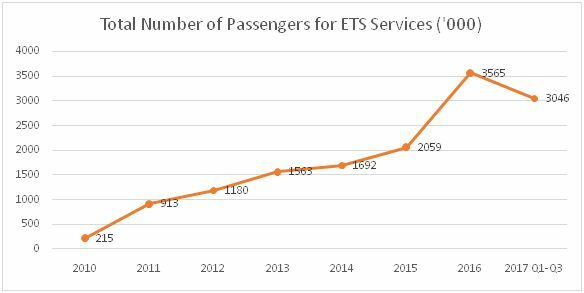 Since 2014, however, the volume of freight traffic dropped significantly, from 7.83 million tonnes in 2014 to 5.99 million tonnes in 2016, a fall of 23.5%. 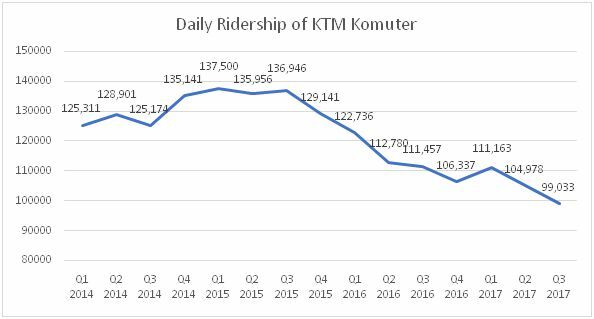 One possible reason for the decline in demand for KTM’s cargo services may be the increase in the cargo fare in 2015 , which likely diverted customers to other modes of freight transportation. 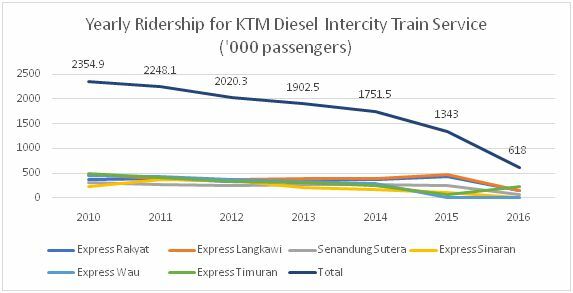 The figures for Q1 to Q3 2017 do not indicate an increase in the freight traffic for KTM cargo (See Figure 3 above).